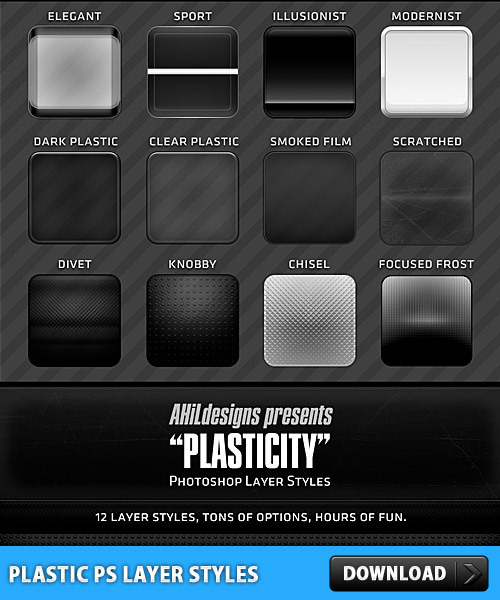 Downlaod Plastic PS Layer Styles PSD file, this file does not contain a .ASL filetype. Rather it’s a full .PSD with the LayerStyles on their own layer. You’re welcome to use this in any way you see fit, for any project commercial or otherwise…Enjoy!